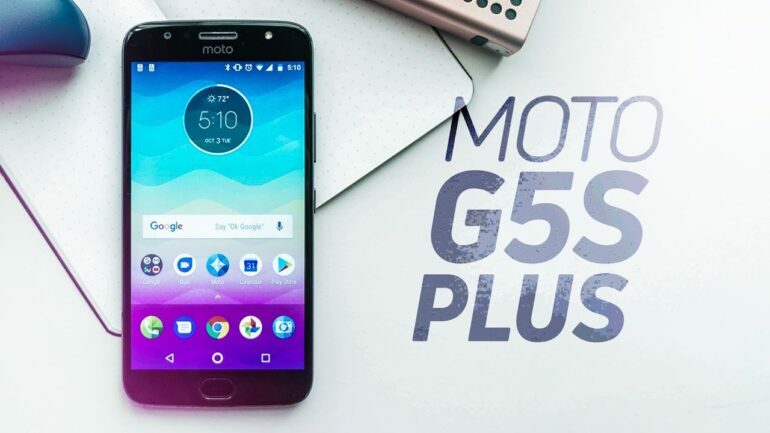 The G5S Plus is the descendant of the Moto G5 Plus. With a price tag of $340 is slightly more expensive than its predecessor, and it is also bigger, with a 5.5-inch screen rather the 5.2-inch of the old one. It has been a solid hit for the brand, however, it experiences some camera lag that can be somewhat fixable. Since the Moto G Series, it has become a rival to the Samsung S series, and they have been well received by everyone looking to buy a quality budget phone since 2013. The series began to be built by Motorola, but now is Lenovo who built them, but little has changed, after all, these phones have been conceived for people who want a decent Phone for a reasonable price. Lenovo has truly pulled out all the stops with the Moto G5s Plus, going full metal rather than a plastic casing, a truly high-end built. As mentioned before, the screen has seen an improvement, with 5.5-inch, making it a very nice phone. There isn’t much improvement in terms of camera, processing power, or display technology. A nice addition was the front fingerprint scanner, which is reasonably fast located in the bezel below the screen and an up to 32GB micro SD slot right next to the SIM slot. The scanner can be used to replace the on-screen soft keys, which is another great upgrade from previous models, and you have control over it, you can turn it on or off. Like all models from the G series, it comes with a Micro USB port rather than a USB-C, a design move that may look out of date and somewhat archaic. It may not be 100% waterproof, but it does come with a water repelling Nano coating, stopping splashes shorting. Now, remember, this is a budget phone, you are not getting everything, but you are getting enough. It comes with a large 5.5-inch 1080p screen and a customizable color profile, an obvious improvement over the ultra-high resolution from other models. Unlike other expensive phones, there is no curvature on the screen because it wouldn’t really fit along with the design. It comes with android nougat, 7.1.1 which comes virtually untouched rather than with the custom versions from previous models. The Moto G5s Plus feels fast, and it is, however, do not expect the same processing speed of smartphones two and three times its price, but it still pretty fast for a budget phone, some owners do have experiences crashes on certain apps, like the Camera and Facebook, you may want to consider that when purchasing one of this bad boys. There is also a slight delay when using the fingerprint scan to bring the phone out of standby mode. Another great thing you have to take into account if you want to buy a Moto G5s Plus is that Android 8 Oreo is set to come to it, so, that is a definite plus. It comes equipped with a mid-range chip like the Snapdragon 650. The LG V30+ Review, Are You Better Off Not Buying LG V30 Plus?